Saintpaulia is a member of the Gesneriaceae family and contains approx. 6 members, native to Africa (e. g. Kenya, Tanzania). 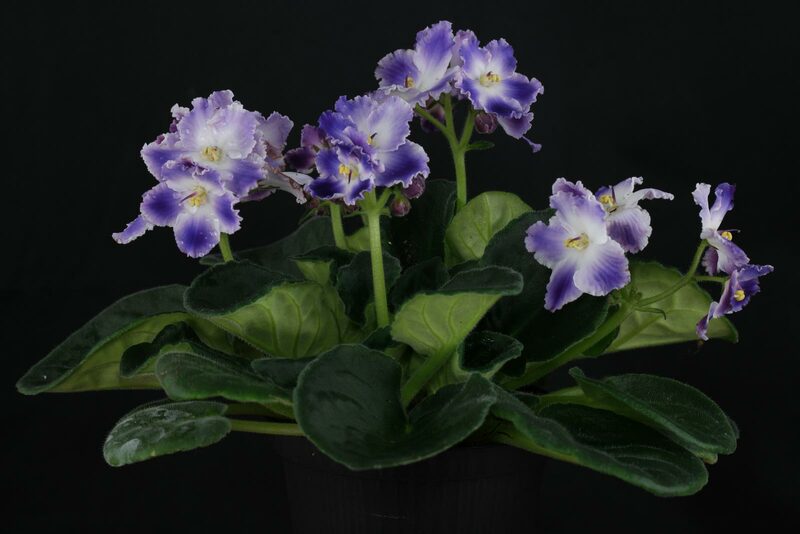 Because of their similarity with the true Violets (Viola) they are commonly known as African Violets. The most common member of the genus is Saintpaulia ionantha of which a lot of cultivars are available, e. g. with variegated leaves and a wide range of blooming colors. Lighting: Saintpaulia ionantha grows best if located on a bright place the year round. Some morning, evening or winter sun will be fine. During the warm summer months it shouldn’t be placed directly behind the window. A light shaded place is also welcome. For showing theyr colorful fooliage the variegated cultivars need to be placed in bright light. Otherwise the leaves will become green. During summer it can be placed in the garden or on the balcony. But make sure that rainwater can easily flow out of the pot. Sitting in water will cause rot. Soil: The African Violet can be grown in a regular potting or cacti mix. I’m using a mixture of potting soil, coarse sand and pumice (3:1:1). Watering: Keep the soil evenly moist but not wet. Sitting in water can cause rot. Allow to moderately dry between the waterings. But it shouldn’t dry completely. Feeding: From spring to fall a half diluted water soluble fertilzer can be given monthly and if placed at above 20 °C/68 °F in winter every eight weeks. Recently repotted or new bought plants don’t need to be fed for the first year. Time release pellets or sticks can also be used. Temperature: The Saintpaulia cultivars need a winter minimum of approx. 12 °C/53.6 °F for the standard varieties and 15 °C/59 °F for the variegated ones. At this temperature range, watering can be reduced and there is no need to feed. But the soil should not dry out completely. 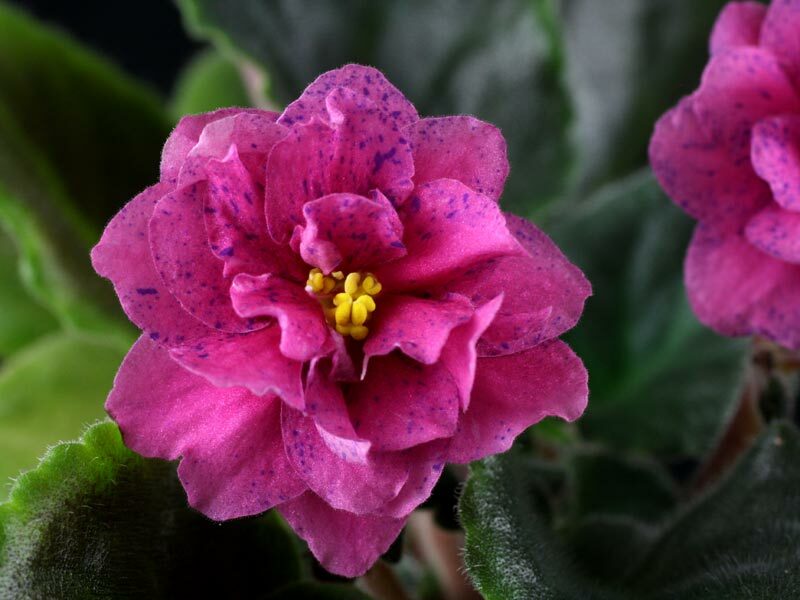 African Violets can be propagated by seeds or with leaf cuttings. Leaf cuttings: At first cut off a leaf with a sharp and clean knife. 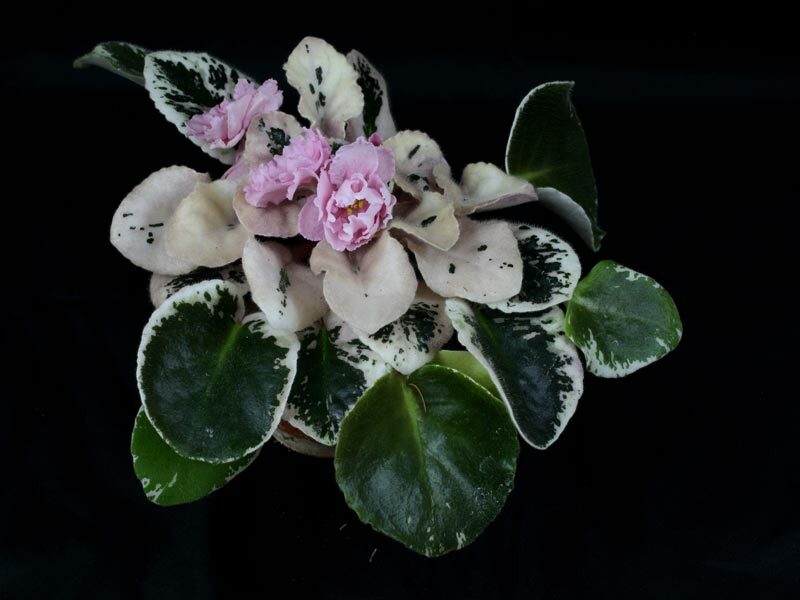 The African Violet cutting can be planted in a regular potting soil or a mix between humus and sand (3:1). The ending of the leave should sit on the ground. Put it on a bright but not sunny place with a temperature > 20 °C (68 °F). Keep the soil moist but not wet. A fertilizer must not be given. There is also no need to increase humidity. 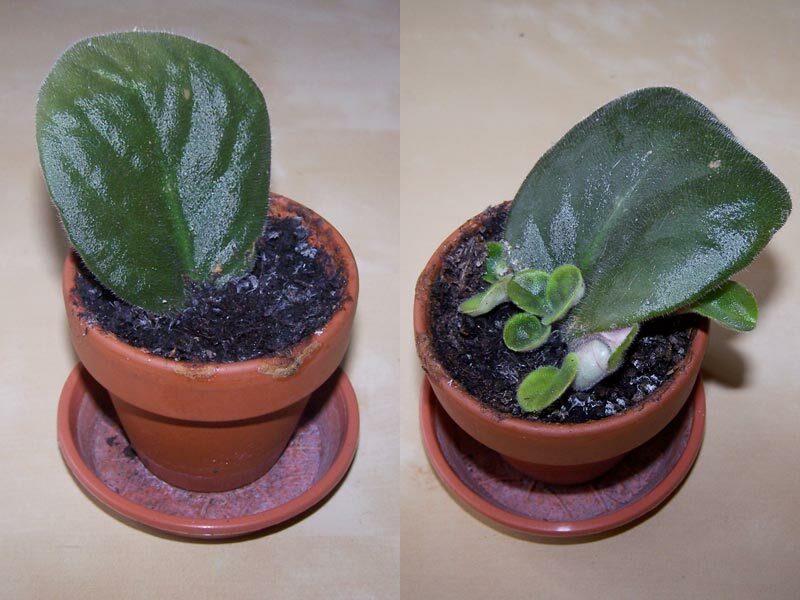 After 6 to 8 weeks the African Violet cuttings will show first new leaves. After about 6 months they can be treated like the mother plant.